Smart timing of deductible expenses can reduce your tax liability, and poor timing can unnecessarily increase it. When you don’t expect to be subject to the alternative minimum tax (AMT) in the current year, accelerating deductible expenses into the current year typically is a good idea. Why? Because it will defer tax, which usually is beneficial. One deductible expense you may be able to control is your property tax payment. You can prepay (by December 31) property taxes that relate to 2016 but that are due in 2017, and deduct the payment on your return for this year. But you generally can’t prepay property taxes that relate to 2017 and deduct the payment on this year’s return. As noted earlier, accelerating deductible expenses like property tax payments generally is beneficial. Prepaying your property tax may be especially beneficial if tax rates go down for 2017, which could happen based on the outcome of the November election. 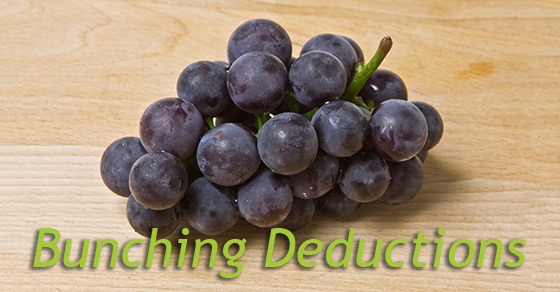 Deductions save more tax when tax rates are higher. However, under the President-elect’s proposed tax plan, some taxpayers (such as certain single and head of household filers) might be subject to higher tax rates. These taxpayers may save more tax from the property tax deduction by holding off on paying their property tax until it’s due next year. Likewise, taxpayers who expect to see a big jump in their income next year that would push them into a higher tax bracket also may benefit by not prepaying their property tax bill. Property tax isn’t deductible for AMT purposes. If you’re subject to the AMT this year, a prepayment may hurt you because you’ll lose the benefit of the deduction. 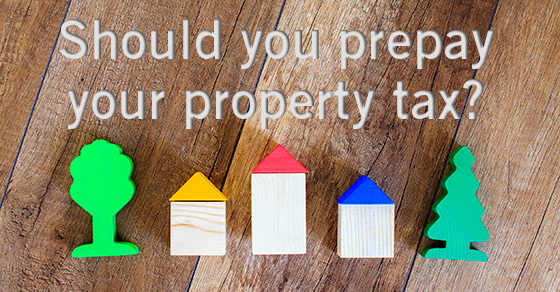 So before prepaying your property tax, make sure you aren’t at AMT risk for 2016. Also, don’t forget the income-based itemized deduction reduction. If your income is high enough that the reduction applies to you, the tax benefit of a prepayment will be reduced. Not sure whether you should prepay your property tax bill or what other deductions you might be able to accelerate into 2016 (or should consider deferring to 2017)? Contact us. We can help you determine the best year-end tax planning strategies for your specific situation. If you hold investments outside of tax-advantaged retirement plans, you may be able to take steps before year end to reduce your 2016 tax liability. Suppose you’ve sold investments at a loss this year but you have other investments in your portfolio that have appreciated. 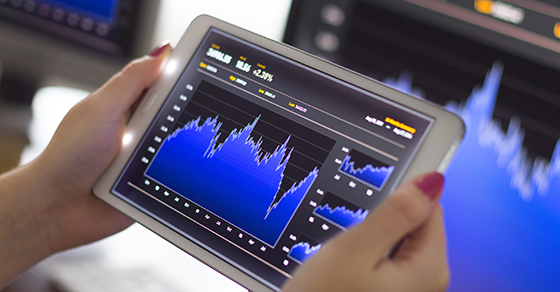 If you believe those appreciated investments have peaked in value, you may want to sell them before this year ends, at least to the extent that the gains from the sales will be offset by your losses. What if you’ve sold investments and are fortunate to have gains this year? By the last business day of the year (Dec. 30 in 2016), consider selling some losing investments to absorb the gains. At the federal level, long-term capital gains (on investments held more than one year) are taxed at rates as high as 20% — 23.8% if you’re subject to the net investment income tax. The short-term capital gains rate (on investments held one year or less) is the same as the tax rate you pay on ordinary income and can go as high as 39.6%. Before taking action, you need to keep in mind the netting rules for gains and losses, which depend on whether gains and losses are long term or short term. To determine your net gain or loss for the year, long-term capital losses offset long-term capital gains before they offset short-term capital gains. In the same way, short-term capital losses offset short-term capital gains before they offset long-term capital gains. And you may use up to $3,000 of total capital losses in excess of total capital gains as a deduction against ordinary income in computing your adjusted gross income. Any remaining net losses are carried forward to future years. Careful handling of your capital gains and losses can save you substantial amounts of tax. But make sure you fully understand all of the implications for your tax and investment situation. Contact us if you have questions. Life insurance can be a powerful financial and estate planning tool, but its benefits may be reduced or even eliminated if you designate the wrong beneficiary or fail to change beneficiaries when your circumstances change. Naming your estate as beneficiary. Doing so subjects life insurance proceeds to unnecessary state inheritance taxes (in many states), exposes the proceeds to your estate’s creditors and ensures that the proceeds will go through probate, which may delay payment to your loved ones. Naming minor children as beneficiaries. Insurance companies won’t pay life insurance proceeds directly to minors, which means a court-appointed guardian (who, if you’re divorced, could be your former spouse) will manage the funds until your minor-age children reach the age of majority. A better approach is to designate a trust as beneficiary. This allows you to determine who will manage the funds and how they’ll be distributed to your children. Naming your former spouse as beneficiary. It’s unlikely that you’d do this intentionally. But if you get divorced and neglect to designate a new beneficiary, this could be the result (even if you’ve updated your will or trust). For many people, the best strategy is to establish an irrevocable life insurance trust (ILIT) to purchase and own a life insurance policy, and to designate the ILIT as the policy’s beneficiary. For more information on how to best address your life insurance policy in your estate plan, please contact us. Contact us if you want more information about setting up the best retirement plan in your situation. 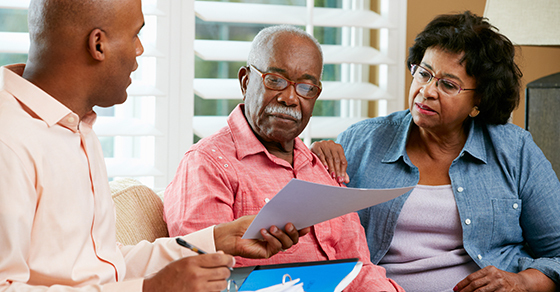 Have you addressed elderly parents in your estate plan? 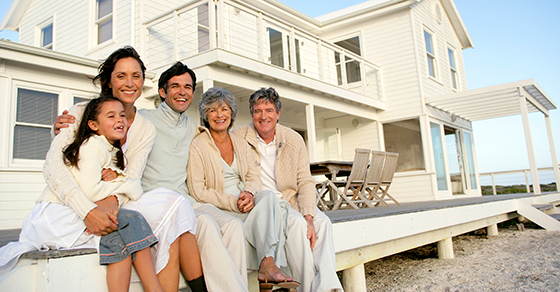 Your estate plan likely accommodates your spouse, children and grandchildren. But have you overlooked your parents? 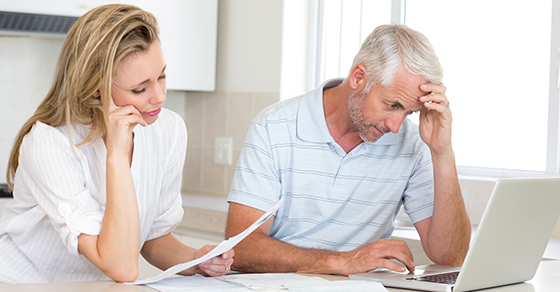 How can you best handle their financial affairs in the later stages of life? You may want to incorporate their needs into your own estate plan while tweaking, when necessary, the arrangements they’ve already made. 1. Identify key contacts. Just like you’ve done for yourself, compile the names and addresses of professionals important to your parents’ finances and medical conditions. These may include stockbrokers, financial advisors, attorneys, CPAs, insurance agents and physicians. 2. List and value their assets. If you’re going to be able to manage the financial affairs of your parents, having knowledge of their assets is vital. It would be wise to keep a list of their investment holdings, IRA and retirement plan accounts, and life insurance policies, including current balances and account numbers. Be sure to add in projections for Social Security benefits. When all is said and done, don’t be surprised if their net worth is higher or lower than what you (or they) initially thought. You can use this information to formulate the appropriate planning techniques. 3. Open the lines of communication. Before going any further, have a frank and honest discussion with your elderly parents, as well as other family members who may be involved, such as your siblings. Make sure you understand your parents’ wishes and explain the objectives you hope to accomplish. Understandably, they may be hesitant or too proud to accept your help, so some arm twisting may be required. 4. Execute documents. Assuming you can agree on how to move forward, develop a plan incorporating several legal documents such as wills, trusts, powers of attorney, living wills or advance medical directives, and beneficiary designations. If your parents have already created one or more of these documents, they may need to be revised or coordinated with new ones. Estate planning for elderly parents, which is complex in its own right, is intertwined with your own finances. Contact us for help with developing a comprehensive plan that addresses all of your family’s needs. Many retirement plan sponsors consider converting to new providers starting with the new plan year. For calendar year plans, that means January 1. If this is the case for your company, now is a good time to ensure your service provider is truly providing. A good provider should have demonstrable experience in your industry. Check to see whether your current provider (or a prospective one) has clients with plans similar to yours. Ask for references. Service and administration should be easy, and communications clear. Reports from your provider should be timely and accurate. You shouldn’t have problems contacting your service provider, and they should give quick and accurate answers to routine questions. 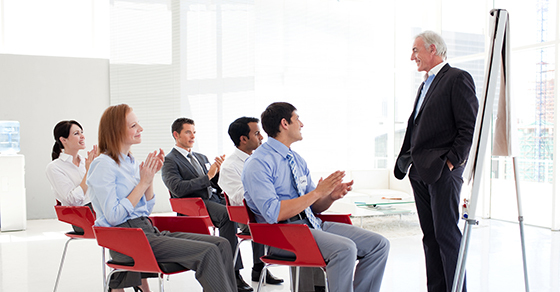 Look for a provider that offers educational seminars for employees to help them understand the importance of maximizing their savings. Make sure the provider has a website that your employees can access, and that participant statements and reports are user-friendly. The provider should give ongoing plan reviews. This includes open discussions of participation levels, deferral percentages, loans, nondiscri! mination testing, and enrollment and communication strategies. Remember, cheapest isn’t always best. Certain providers market their services directly to plan sponsors with the idea that the cost of an advisor is unnecessary. Generally, this type of arrangement works only if the plan sponsor has an employee dedicated to certain 401(k) plan functions or the plan accepts less service. The 401(k) fees paid by a company typically include a one-time fee to establish the plan and an ongoing annual, quarterly or monthly fee to manage it. The costs cover record keeping, support from an account manager, government-required testing and tax forms, and product and service improvements. Administrative expenses vary dramatically based on the provider and the total plan assets. It’s also important that employees pay! the least fees possible so they can invest more of their money. Add up the average fund expenses plus the management fees, participant record-keeping fees, custodial fees or any other fees charged to your employees. Comprehensive, well-administered benefits are a competitive necessity in today’s business environment. Please contact us for help evaluating the services you’re receiving and their associated costs. Whether you’re selling your business or acquiring another company, the tax consequences can have a major impact on the transaction’s success or failure. Consider installment sales, for example. The sale of a business might be structured as an installment sale if the buyer lacks sufficient cash or pays a contingent amount based on the business’s performance. And it sometimes — but not always — can offer the seller tax advantages. An installment sale may make sense if the seller wishes to spread the gain over a number of years. This could be especially beneficial if it would allow the seller to stay under the thresholds for triggering the 3.8% net investment income tax (NIIT) or the 20% long-term capital gains rate. For 2016, taxpayers with modified adjusted gross income (MAGI) over $200,000 per year ($250,000 for married filing jointly and $125,000 for married filing separately) will owe NIIT on some or all of their investment income. And the 20% long-term capital gains rate kicks in when 2016 taxable income exceeds $415,050 for singles, $441,000 for heads of households and $466,950 for joint filers (half that for separate filers). Depreciation recapture must be reported as gain in the year of sale, no matter how much cash the seller receives. If tax rates increase, the overall tax could wind up being more. Please let us know if you’d like more information on installment sales — or other aspects of tax planning in mergers and acquisitions. Of course, tax consequences are only one of many important considerations. In addition to income tax, you must pay Social Security and Medicare taxes on earned income, such as salary and self-employment income. The 12.4% Social Security tax applies only up to the Social Security wage base of $118,500 for 2016. All earned income is subject to the 2.9% Medicare tax. The taxes are split equally between the employee and the employer. But if you’re self-employed, you pay both the employee and employer portions of these taxes on your self-employment income. Another employment tax that higher-income taxpayers must be aware of is the additional 0.9% Medicare tax. It applies to FICA wages and net self-employment income exceeding $200,000 per year ($250,000 for married filing jointly and $125,000 for married filing separately). If your wages or self-employment income varies significantly from year to year or you’re close to the threshold for triggering the additional Medicare tax, income timing strategies may help you avoid or minimize it. For example, as a self-employed taxpayer, you may have flexibility on when you purchase new equipment or invoice customers. If your self-employment income is from a part-time activity and you’re also an employee elsewhere, perhaps you can time with your employer when you receive a bonus. Something else to consider in this situation is the withholding rules. Employers must withhold the additional Medicare tax beginning in the pay period when wages exceed $200,000 for the calendar year — without regard to an employee’s filing status or income from other sources. So your employer might not withhold the tax even though you are liable for it due to your self-employment income. If you do owe the tax but your employer isn’t withholding it, consider filing a W-4 form to request additional income tax withholding, which can be used to cover the shortfall and avoid interest and penalties. Or you can make estimated tax payments. 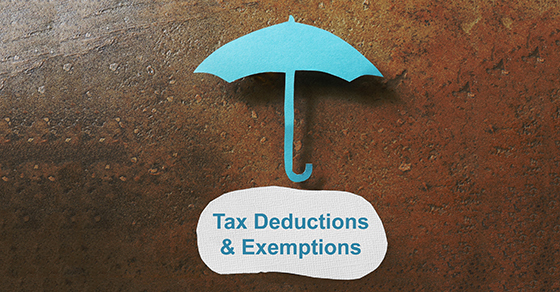 As a self-employed taxpayer, you may benefit from other above-the-line deductions as well. You can deduct 100% of health insurance costs for yourself, your spouse and your dependents, up to your net self-employment income. You also can deduct contributions to a retirement plan and, if you’re eligible, an HSA for yourself. Above-the-line deductions are particularly valuable because they reduce your adjusted gross income (AGI) and modified AGI (MAGI), which are the triggers for certain additional taxes and the phaseouts of many tax breaks. For more information on the ins and outs of employment taxes and tax breaks for the self-employed, please contact us. Nearly every business owner wants to grow his or her company. But with growth comes risk, and that can keep you from taking the steps necessary to move forward. Yet if you don’t think big and come up with a long-term strategic plan, you’ll likely continue to spin your wheels. Public companies answer to investors who consider earnings per share and stock price to be key indicators of their return on investment. Maximizing earnings is a short-term goal, but building value requires a long-term focus. 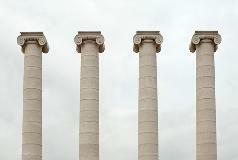 Many small to midsize businesses, however, have only their ownerships’ vision to motivate them. You also may have to operate much leaner, with more limited staff and overhead. In doing so, you may sacrifice value-building opportunities. For example, a company that fails to invest in marketing may lose market share to a competitor that aggressively advertises and offers promotions. Or a business that hires managers only from within or chooses candidates based primarily on minimizing salary expense may lose out on the professional expertise that comes with a more seasoned management team. Some companies may be able to run “lean and mean” for a while. But, eventually, most businesses need to grow. And a reasonably ambitious, long-term strategic plan is the first step. It will allow you to communicate a nuanced, specific vision for growth down the organizational chart. Planning should extend to employees, too. What’s each worker’s expected role in your strategic vision? This is why annual performance reviews are so critical. They’ll help you gauge whether each employee is meeting or exceeding management’s expectations — or whether he or she is truly contributing to your long-term plan. 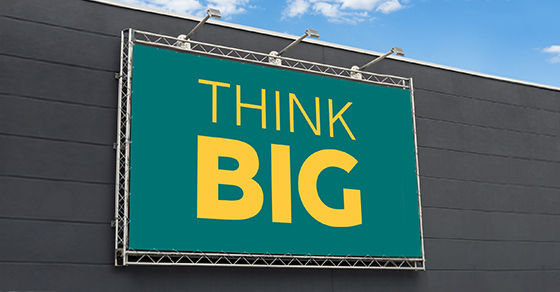 Again, don’t be afraid to think big. A tentative or half-hearted long-term strategic plan may leave you disappointed — and fail to truly motivate anyone. Please contact our firm for help choosing the right goals and putting them into a feasible, reasonable financial context. Do you wish to play an active role in funding your grandchildren’s college educations? As you examine the financing options, don’t forget about their impact on your estate plan. Two trust types to consider are grantor and Crummey trusts. 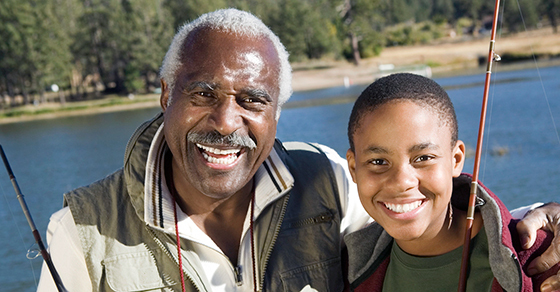 A trust can be established for your grandchild, and assets contributed to the trust, together with future appreciation, are removed from your taxable estate. The funds can be used for college expenses. If the trust is structured as a “grantor trust” for income tax purposes, its income will be taxable to you, allowing the assets to grow tax-free for the benefit of the beneficiaries. Plus the income tax you pay further reduces your taxable estate. On the downside, for financial aid purposes a trust is considered the child’s asset, potentially reducing or eliminating the amount of aid available to him or her. So keep this in mind if your grandchild is hoping to qualify for aid. Another potential downside is that trust contributions are considered taxable gifts. But you can reduce or eliminate gift taxes by using your annual exclusion or your lifetime exemption to fund the trust. To qualify for the annual exclusion, however, the beneficiary must receive a present interest. Gifts in trust are generally considered future interests, but you can convert these gifts to present interests by structuring the trust as a Crummey trust. With a Crummey trust, each time you contribute assets, you must give the beneficiaries a brief window (typically 30 to 60 days) during which they may withdraw the contribution. You also must notify beneficiaries of their withdrawal rights. If a Crummey trust is established for a single beneficiary, annual exclusion gifts to the trust are also generation-skipping transfer (GST) tax-free. If there are multiple beneficiaries, however, contributions may be subject to GST tax. The impact of the GST tax can be mitigated, or even eliminated, if you allocate some of your GST exemption to the trust. Contact us to learn more about using either of these trusts in your estate plan. 1. Stay put. You may be able to leave your money in your old plan. But if you’ll be participating in your new employer’s plan or you already have an IRA, keeping track of multiple plans can make managing your retirement assets more difficult. Also consider how well the old plan’s investment options meet your needs. 2. Roll over to your new employer’s plan. This may be beneficial if it leaves you with only one retirement plan to keep track of. But evaluate the new plan’s investment options. 3. Roll over to an IRA. 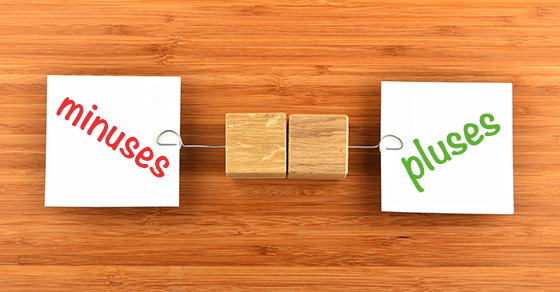 If you participate in your new employer’s plan, this will require keeping track of two plans. But it may be the best alternative because IRAs offer nearly unlimited investment choices. 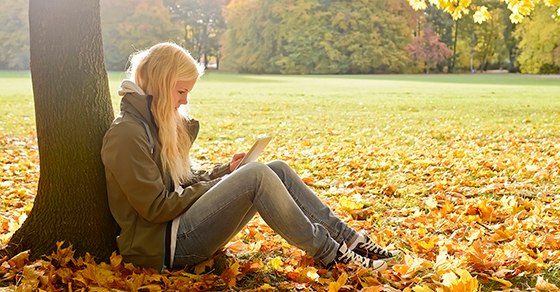 If you choose a rollover, request a direct rollover from your old plan to your new plan or IRA. If instead the funds are sent to you by check, you’ll need to make an indirect rollover (that is, deposit the funds into an IRA) within 60 days to avoid tax and potential penalties. Also, be aware that the check you receive from your old plan will, unless an exception applies, be net of 20% federal income tax withholding. If you don’t roll over the gross amount (making up for the withheld amount with other funds), you’ll be subject to income tax — and potentially the 10% penalty — on the difference. There are additional issues to consider when deciding what to do with your old retirement plan. We can help you make an informed decision — and avoid potential tax traps. 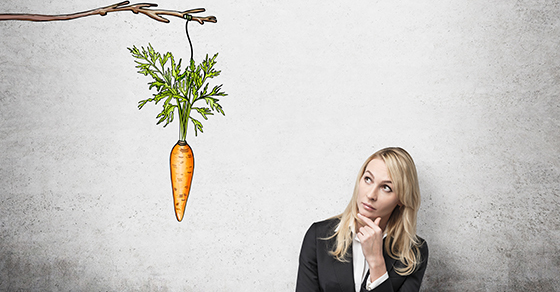 One way your business can find and keep valuable employees is to offer an attractive compensation package. Fringe benefits are an important incentive — especially those that are tax-free. Here’s a rundown of some common perks and their tax implications. Medical coverage. If you maintain a health care plan for employees, coverage under the plan isn’t taxable to them. Employee contributions are excluded from income if pretax coverage is elected under a cafeteria plan. Otherwise, such amounts are included in their wages, but are deductible on a limited basis as itemized deductions. 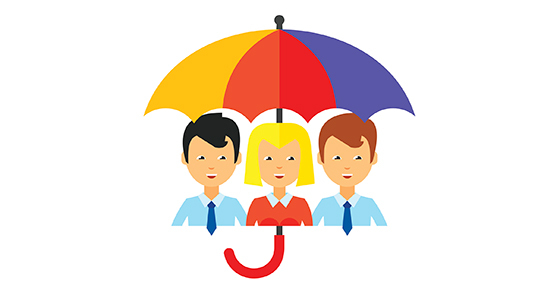 Employers must meet a number of requirements when providing coverage. For instance, benefits must be provided through a group health plan (fully insured or self-insured). Dependent care. You can provide employees with tax-free dependent care assistance up to certain limits during the year. Educational assistance. You can help employees on a tax-free basis through educational assistance plans (up to $5,250 per year), job-related educational assistance, and qualified scholarships. Other tax-free benefits include adoption assistance (up to a certain amount), on-premises athletic facilities and meals provided occasionally to employees who work overtime. Contact us for more information about how to treat fringe benefits for tax purposes. If you’re charitably inclined, making donations is probably one of your key year-end tax planning strategies. But if you typically give cash, you may want to consider another option that provides not just one but two tax benefits: Donating long-term appreciated stock. Appreciated publicly traded stock you’ve held more than one year is long-term capital gains property. If you donate it to a qualified charity, you can enjoy two benefits: 1) You can claim a charitable deduction equal to the stock’s fair market value, and 2) you can avoid the capital gains tax you’d pay if you sold the stock. This will be especially beneficial to taxpayers facing the 3.8% net investment income tax (NIIT) or the top 20% long-term capital gains rate this year. Let’s say you donate $10,000 of stock that you paid $3,000 for, your ordinary-income tax rate is 39.6% and your long-term capital gains rate is 20%. If you sold the stock, you’d pay $1,400 in tax on the $7,000 gain. If you were also subject to the 3.8% NIIT, you’d pay another $266 in NIIT. By instead donating the stock to charity, you save $5,626 in federal tax ($1,666 in capital gains tax and NIIT plus $3,960 from the $10,000 income tax deduction). If you donated $10,000 in cash, your federal tax savings would be only $3,960. Beware that donations of long-term capital gains property are subject to tighter deduction limits — 30% of your adjusted gross income for gifts to public charities, 20% for gifts to nonoperating private foundations (compared to 50% and 30%, respectively, for cash donations). And don’t donate stock that’s worth less than your basis. Instead, sell the stock so you can deduct the loss and then donate the cash proceeds to charity. If you own appreciated stock that you’d like to sell, but you’re concerned about the tax hit, donating it to charity might be right for you. For more details on this and other strategies to achieve your charitable giving and tax-saving goals, contact us. If you’re looking to boost your deductions — and reduce your 2016 tax bill — you may want to consider purchasing a business vehicle before year end. 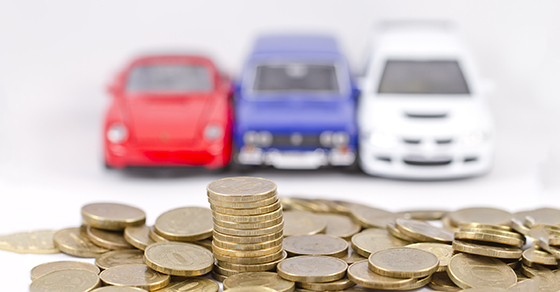 Business-related purchases of new or used vehicles may be eligible for Section 179 expensing, which allows you to immediately deduct, rather than depreciate over a period of years, some or all of the vehicle’s cost. But the size of your deduction will depend in part on the gross vehicle weight rating. The normal Sec. 179 expensing limit generally applies to vehicles with a gross vehicle weight rating of more than 14,000 pounds. The limit for 2016 is $500,000, and the break begins to phase out dollar-for-dollar when total asset acquisitions for the tax year exceed $2.01 million. But a $25,000 limit applies to SUVs rated at more than 6,000 pounds but no more than 14,000 pounds. Vehicles rated at 6,000 pounds or less are subject to the passenger automobile limits. For 2016 the depreciation limit is $3,160. The amount that may be deducted under the combination of Modified Accelerated Cost Recovery System (MACRS) depreciation and Sec. 179 for the first year is limited under the luxury auto rules to $11,160. Many additional rules and limits apply to these breaks. So if you’re considering a business vehicle purchase, contact us to learn what tax benefits you might enjoy if you make the purchase by December 31. For many years, family limited partnerships (FLPs) have been a popular estate planning tool, in part due to their tax benefits. Specifically, they can allow you to transfer assets to your children (and other family members) at discounted values for gift tax purposes. 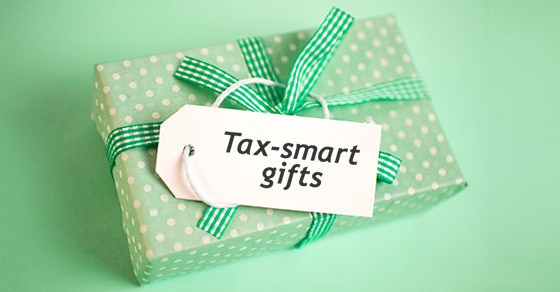 The gifts may even be tax-free if you apply your lifetime exemption or annual exclusion. 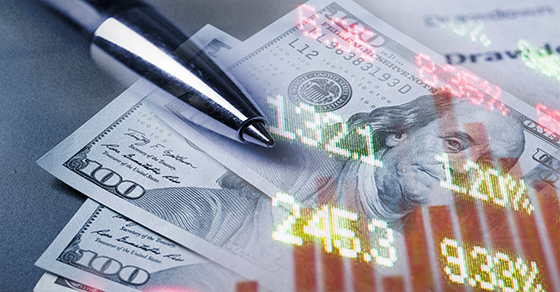 However, the IRS recently proposed regulations that, if finalized, would limit the effectiveness of FLPs for reducing the taxable value of transferred interests. To execute an FLP strategy, you contribute assets — such as marketable securities, real estate and private business interests — to a limited partnership. In exchange, you receive general and limited partner interests. Over time, you gift, sell or otherwise transfer interests to family members and anyone else you wish (even charitable organizations). For gift tax purposes, the limited partner interests may be valued at a discount from the partnership’s underlying assets because limited partners can’t control the FLP’s day-to-day activities and the interests may be difficult to sell. This can provide substantial tax savings. For example, under federal tax law, you can exclude certain gifts of up to $14,000 per recipient each year without depleting any of your lifetime gift and estate tax exemption. So, if discounts total, say, 30%, in 2016 you can gift an FLP interest that’s worth as much as $20,000 before discounts (based on the net asset value of the partnership’s assets) tax-free because the discounted fair market value doesn’t exceed the $14,000 gift tax annual exclusion. An FLP must be established for a legitimate business purpose, such as efficient asset management and protection from creditors, to qualify for valuation discounts. Partnerships set up exclusively to minimize gift and estate taxes won’t pass IRS muster. If you’ve been considering using an FLP, you may need to act soon to take advantage of current tax provisions in the event the rules change. Contact us to learn more about FLPs and how the proposed regs may affect them. 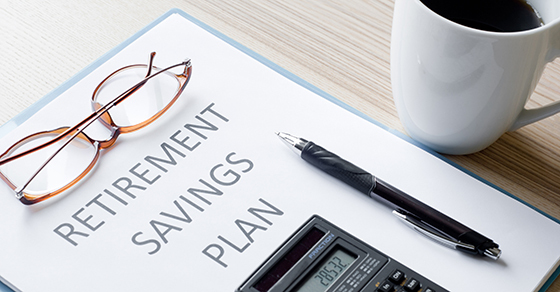 Employers who offer retirement savings plans are already helping their workforces. But not all employees take advantage of these plans. And many who do still don’t contribute enough to retire comfortably. As a business owner, you can help your employees even more — and drive plan participation — by providing proper education on retirement planning. How much they need to save to reach a certain sum at retirement. Providing such information can help your employees make informed decisions about their options. 2. Explain how the plan functions. For instance, do they need to enroll in the plan, or are they automatically enrolled? Once enrolled, how do they decide how much to contribute and how to allocate their money among different investments? 3. Provide information in various formats. Webinars or other online communication methods will resonate with some employees, while others will prefer printed material. By offering a mix of options, you’ll likely be effective in reaching different segments of your workforce. 4. Arrange face-to-face sessions. Even if your business offers printed and electronic materials, in-person sessions can go a long way in helping employees understand the plan. These sessions also provide an opportunity to reinforce the value of a retirement plan as part of the employee’s overall compensation package. If one-on-one sessions are impractical, consider small groups. 5. Offer information regularly. Providing consistent education is a great way to remind employees of the value of their retirement savings plans. 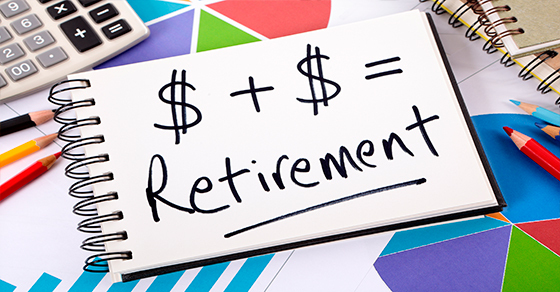 Remember, employees aren’t the only ones who benefit from proper retirement savings education. As participation increases, plan fees may diminish. And the more non–highly compensated employees sock away in a plan, the more its highly compensated employees can contribute. Please contact our firm for more ways to maximize the strategic value of your retirement plan. Everyone needs a solid estate plan to distribute assets according to their wishes and benefit their heirs. But this necessity is especially keen for business owners, many of whom have spent years working hard to build up the values of their companies. If you can relate to this statement, one effective way to reduce estate taxes is to limit the amount of appreciation in your estate — and your company may provide just the ticket for doing so. You’ll save the most in estate taxes by giving away assets with the highest probability of future appreciation. Why? Because gifting these assets today will keep future appreciation on those assets out of your taxable estate. Thus, there may be no better gift than your company stock, which could be the most rapidly appreciating asset you own. For example, assume your business is worth $5 million today but is likely to be worth $15 million in several years. By giving away some of the stock today, you’ll keep a substantial portion of the future appreciation out of your taxable estate. Naturally, there are limits to how much you can give without tax consequences. Each individual is entitled to give as much as $14,000 per year per recipient without incurring any gift tax or using any of his or her $5.45 million lifetime gift, estate or generation-skipping transfer tax exemption amount. Also be aware that, because you’re giving away company stock, the IRS may challenge the value you place on the gift and try to increase it substantially. The agency is required to make any challenges to a gift tax return within the normal three-year statute of limitations — even when no tax is payable with the return. But the statute of limitations applies only if certain disclosures are made on the gift tax return. Generally, for gifts of stock that isn’t publicly traded, a professional business valuation is highly recommended. If the idea of giving away portions of your business to reduce estate tax exposure intrigues you, please contact us. We can help you fully assess the feasibility of this strategy as it pertains to your specific situation. Have you provided for the removal of a trustee in your estate plan? When drafting an estate plan, it’s critical to select the right trustee to carry out your wishes and protect your beneficiaries. It’s also important to establish procedures for removing a trustee in the event that circumstances change. 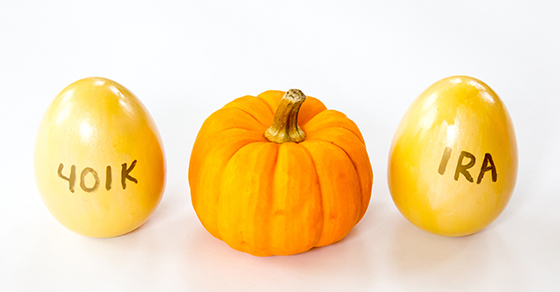 Failing to do so doesn’t mean your beneficiaries will be stuck with an inadequate trustee. But they’ll have to petition a court to remove the trustee for cause, which can be an expensive, time-consuming and uncertain process. Making the process more onerous is the fact that courts generally are reluctant to remove a trustee who was hand-picked by the trust maker. To avoid the need for court intervention, include procedures for removing a trustee in your trust agreement. You might allow beneficiaries to remove a trustee without cause if they’re dissatisfied with his or her performance. Or you might provide for removal of a trustee under specific circumstances defined in the trust agreement. Your trust agreement also should include a list of successor trustees. If one trustee is removed, the next person on your list becomes the new trustee. Another option is to appoint a trust protector — a “super trustee” empowered to make certain decisions, including firing a trustee and appointing a new one. If you have questions regarding trustees, please contact us. ncome tax generally applies to all forms of income, including cancellation-of-debt (COD) income. Think of it this way: If a creditor forgives a debt, you avoid the expense of making the payments, which increases your net income. Fortunately, since 2007, homeowners have been allowed to exclude from their taxable income up to $2 million in cancellation-of-debt (COD) income ($1 million for married taxpayers filing separately) in connection with qualified principal residence indebtedness (QPRI). The exclusion had been available only for debts forgiven through 2014, but last year Congress extended it. Now, however, that new expiration date — Dec. 31, 2016 — is rapidly approaching. 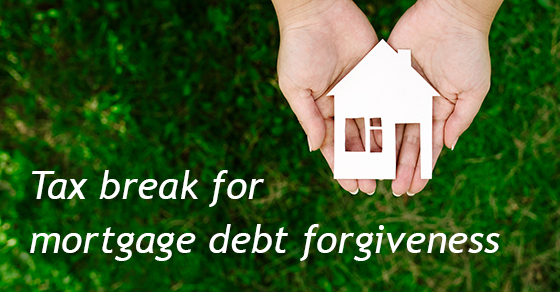 Debt forgiveness is only one of the ways to generate COD income in relation to QPRI. You also can have COD income if a creditor reduces your interest rate or gives you more time to pay. Calculating the amount of income can be complex, but essentially, by making it easier for you to repay the debt, the creditor confers a taxable economic benefit. You can also have COD income in connection with a mortgage foreclosure, including a short sale or deed in lieu of foreclosure. QPRI means debt used to buy, construct or substantially improve your principal residence, and it extends to the refinance of such debt. Relief isn’t available for a second home, nor is it available for a home equity loan or cash-out refinancing to the extent the proceeds are used for purposes other than home improvement (such as paying off credit cards). If you exclude COD income under this provision and continue to own your home, you must reduce your tax basis in the home by the amount of the exclusion. This may increase your taxable gains when you sell the home. Nevertheless, the exclusion likely will be beneficial because COD income is taxed at ordinary-income rates, rather than the lower long-term capital gains rates. Plus, it’s generally better to defer tax when possible. If you’re considering a mortgage foreclosure or restructuring in relation to your home, you may want to act before year end to take advantage of the COD income exclusion in case lawmakers don’t extend it again. Many companies reach a point in their development where they have to make an important decision: Innovate themselves or acquire a competitor? Of course, it isn’t always an either/or decision. 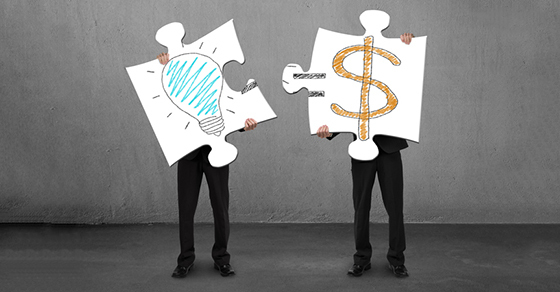 Nonetheless, business owners should consider the pluses and minuses of both approaches. Increased productivity resulting from internal improvements or enhancements. Each strategy takes time, effort and capital. Understandably, business leaders can be hesitant to devote such vital resources to innovation initiatives and risk decreases in productivity and profitability. For companies that don’t want to bet the farm on internal development, acquisitions can be appealing. If you’re looking to expand a product line, for example, it might be more time- and cost-effective to buy a competitor that already offers the goods you want. 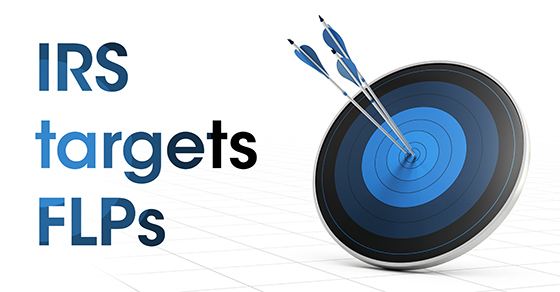 Your acquisition target has already done the hard work — including funding, testing and creating the product or service and building a client base. By buying this competitor, you may incur less risk than you would by investing your own capital and building the product from scratch. The same holds true for geographic expansion and productivity improvements. But business combinations come with their own risks. To fully benefit from any acquisition, your company needs to “stick the landing” — efficiently integrate operations and retain divisions and employees capable of ensuring that innovations continue to pay off. For many buyers, that’s a tall order. In an ideal world, companies would devote resources to innovation and also make the occasional acquisition to bolster their standing in particular markets. But most companies don’t have the luxury to do both simultaneously. Please contact us for help examining the risks and potential rewards associated with each option. A shared family vacation home can be a great place for family bonding. And a little estate planning can go a long way toward avoiding conflict and keeping the home in the family. Who owns it and how? All family members must understand who actually owns the home. Family members sharing the home will more readily accept decisions about its usage or disposition knowing that the decisions come from those holding legal title. If the home has multiple owners — several siblings, for example — consider the form of ownership carefully. 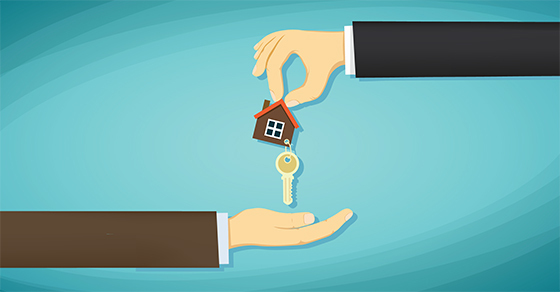 There may be advantages to holding title to the home in a family limited partnership (FLP) or family limited liability company (FLLC) and using FLP or FLLC interests to allocate ownership interests among family members. You can even design the partnership or operating agreement (or a separate buy-sell agreement) to help keep the home in the family. What happens if an owner dies, divorces or decides to sell his or her interest in the home? It depends on who owns the home and how the legal title is held. If the home is owned by a married couple or an individual, the disposition of the home upon death or divorce will be dictated by the relevant estate plan or divorce settlement. There are many ways to own and share a family vacation home. 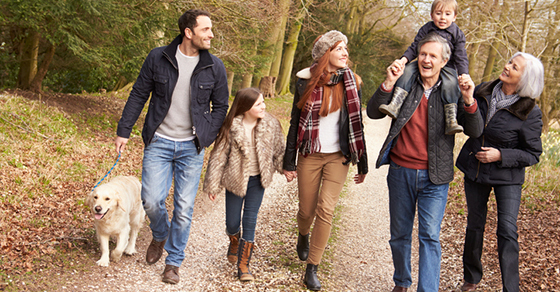 We’d be pleased to help you and your loved ones keep yours in the family for generations to come. They’re available to businesses with 100 or fewer employees. They offer greater income deferral opportunities than individual retirement accounts (IRAs). However, other plans, such as SEPs and 401(k)s, may permit larger annual deductible contributions. 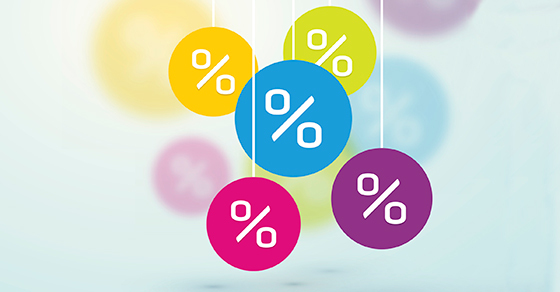 Participant loans aren’t allowed (unlike 401(k) and other plans that can offer loans). As the name implies, it’s simple to set up and administer these plans. You aren’t required to file annual financial returns. If your business has other employees, you may have to make SIMPLE IRA employer “matching” contributions. Any employee who has compensation of at least $5,000 in any prior two years, and is reasonably expected to earn $5,000 in the current year, can elect to have a percentage of compensation put into a SIMPLE. An employee may defer up to $12,500 in 2016. This amount is indexed for inflation each year. Employees age 50 or older can make a catch-up contribution of up to $3,000 in 2016. A SIMPLE IRA might be a good choice for your small business but it isn’t the only choice. You might also be interested in setting up a simplified employee pension plan, a 401(k) or other plan. Contact us to learn more about a SIMPLE IRA or to hear about other retirement alternatives for your business. 1. The trading must be “substantial.” While there’s no bright line test, the courts have tended to view more than a thousand trades a year, spread over most of the available trading days, as substantial. 2. The trading must be designed to try to catch the swings in the daily market movements. In other words, you must be attempting to profit from these short-term changes rather than from the long-term holding of investments. So the average duration for holding any one position needs to be very short, generally only a day or two. If you satisfy these conditions, the chances are good that you’d ultimately be able to prove trader vs. investor status. Of course, even if you don’t satisfy one of the tests, you might still prevail, but the odds against you are higher. If you have questions, please contact us. Could a tax-free exchange help cover LTC insurance costs? No estate plan is complete without considering long-term care (LTC) expenses and how to pay for them. 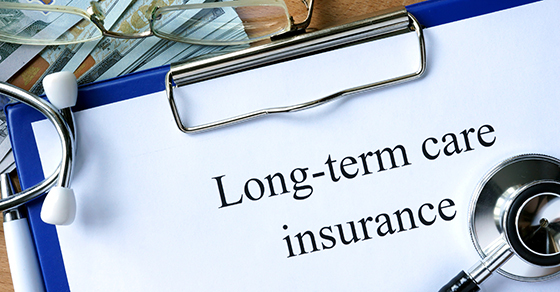 LTC insurance is an option, but these policies can be expensive. One solution is to use a total or partial tax-free exchange of an existing life insurance policy or annuity contract. For many years, Internal Revenue Code Section 1035 has permitted taxpayers to exchange one life insurance policy for another, one annuity contract for another, or a life insurance policy for an annuity contract without recognizing any taxable gain. In the late 1990s, the U.S. Tax Court approved partial tax-free exchanges. A partial exchange might involve using a portion of an annuity’s balance or a life insurance policy’s cash value to fund a new contract or policy. In order for the transaction to be tax-free, the exchange must involve a direct transfer of funds from one carrier to another. The Pension Protection Act of 2006 expanded Sec. 1035 to include LTC policies. So now it’s possible to make a total or partial tax-free exchange of a life insurance policy or annuity contract for an LTC policy (as well as one LTC policy for another). Partial tax-free exchanges can work well for standalone LTC policies, which generally require annual premium payments and prohibit prepayment. A partial tax-free exchange not only provides a source of funds for LTC coverage but also offers significant tax benefits. Ordinarily, if the value of a life insurance policy or annuity contract exceeds your basis, lifetime distributions include a combination of taxable gain and nontaxable return of basis. A partial tax-free exchange allows you to defer taxable gain and, to the extent the gain is absorbed by LTC insurance premiums, eliminate it permanently. If you’re concerned that LTC costs might deplete your funds, thus allowing less wealth to pass to heirs, contact us. We can help you determine whether one of these strategies may be an option for you. If you recently redeemed frequent flyer miles to treat the family to a fun summer vacation or to take your spouse on a romantic getaway, you might assume that there are no tax implications involved. And you’re probably right — but there is a chance your miles could be taxable. As a general rule, miles awarded by airlines for flying with them are considered nontaxable rebates, as are miles awarded for using a credit or debit card. There are, however, some types of mile awards the IRS might view as taxable. Examples include miles awarded as a prize in a sweepstakes and miles awarded as a promotion. For instance, in Shankar v. Commissioner, the U.S. Tax Court sided with the IRS, finding that airline miles awarded in conjunction with opening a bank account were indeed taxable. Part of the evidence of taxability was the fact that the bank had issued Forms 1099 MISC to customers who’d redeemed the rewards points to purchase airline tickets. The value of the miles for tax purposes generally is their estimated retail value. If you’re concerned you’ve received mile awards that could be taxable, please contact us and we’ll help you determine your tax liability, if any. If you run your business as an S corporation, you’re probably both a shareholder and an employee. As such, the corporation pays you a salary that reflects the work you do for the business — and you (and your company) must remit payroll tax on some or all of your wages. By distributing profits in the form of dividends rather than salary, an S corporation and its owners can avoid payroll taxes on these amounts. Because of the additional 0.9% Medicare tax on wages in excess of $200,000 ($250,000 for joint filers and $125,000 for married filing separately), the potential tax savings from classifying payments as dividends rather than salary may be even greater than it once would have been. But paying little or no salary is risky. The IRS targets S corporations with owners’ salaries that it considers unreasonably low and assesses unpaid payroll taxes, penalties and interest. To avoid such a result, S corporations should establish and document reasonable salaries for each position using compensation surveys, comparable industry studies, company financial data and other evidence. 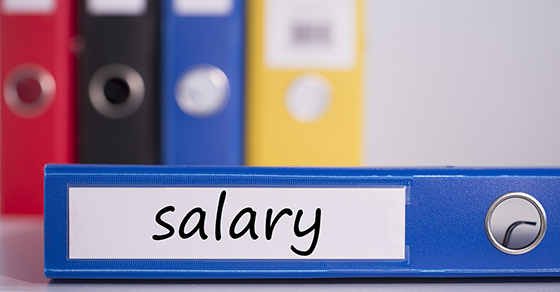 Spell out the reasons for compensation amounts in your corporate minutes. Have the minutes reviewed by a tax professional before being finalized. Do you have questions about compensation? Contact us. We can help you determine the mix of salary and dividends that can keep your tax liability as low as possible while standing up to IRS scrutiny. Did you know that the estate of director John Hughes donated the family’s Illinois mansion to a nonprofit hospital? After allowing another charity to use the home for a fundraising event, the hospital sold the home and used the proceeds to expand its campus. When you donate real estate to a public charity, you generally can deduct the property’s fair market value. But when you donate it to a private foundation, your deduction is limited to the lower of fair market value or your cost basis in the property. If the property is subject to a mortgage, you may recognize taxable income for all or a portion of the loan’s value. And charities might not accept mortgaged property because it may trigger unrelated business income tax. For these reasons, it’s a good idea to pay off the mortgage before you donate the property or ask the lender to accept another property as collateral for the loan. Failure to properly substantiate your donation can result in loss of the deduction and overvaluation penalties. Generally, real estate donations require a qualified appraisal. You’ll also need to complete Form 8283, Noncash Charitable Contributions, have your appraiser sign it and file it with your federal tax return. If the property is valued at more than $500,000, you’ll generally need to include the appraisal report as well. If the charity sells the property within three years, it must report the sale to the IRS. If the price is substantially less than the amount you claimed, the IRS may challenge your deduction. To avoid this result, be sure your initial appraisal is accurate and well documented. Before taking action, consult us to ensure that you avoid these traps. Many expenses that may qualify as miscellaneous itemized deductions are deductible only to the extent they exceed, in aggregate, 2% of your adjusted gross income (AGI). Bunching these expenses into a single year may allow you to exceed this “floor.” So now is a good time to add up your potential deductions to date to see if bunching is a smart strategy for you this year. Should you bunch into 2016? Unreimbursed employee business expenses, including vehicle costs, travel, and allowable meals and entertainment. These expenses aren’t deductible for alternative minimum tax (AMT) purposes. So don’t bunch them into 2016 if you might be subject to the AMT this year. Also, if your AGI exceeds the applicable threshold, certain deductions — including miscellaneous itemized deductions — are reduced by 3% of the AGI amount that exceeds the threshold (not to exceed 80% of otherwise allowable deductions). For 2016, the thresholds are $259,400 (single), $285,350 (head of household), $311,300 (married filing jointly) and $155,650 (married filing separately). If you’d like more information on miscellaneous itemized deductions, the AMT or the itemized deduction limit, let us know. Many businesses use independent contractors to keep payroll taxes and fringe benefit costs down. But using outside workers may result in other problems. The IRS often questions businesses about whether workers should be classified as employees or independent contractors for federal employment tax purposes. If the IRS reclassifies a worker as an employee, your company could be hit with back taxes, interest and penalties. In addition, the employer could be liable for employee benefits that should have been provided but weren’t. Audits by state agencies may also occur. So, how can you safeguard your use of independent contractors? Unfortunately, no single factor determines a worker’s legal status. The issue is complicated, but the degree of control you have over how a worker gets the job done is often considered the most important factor. Little or no control indicates independent contractor status. Tools and facilities. Employers usually give tools, equipment and workspace to employees, while contractors invest their own money in these items. Clarify the relationship with a written independent contractor agreement. Include details, such as the services the contractor will perform, the term of the agreement and how much you’ll pay. Include statements that the individual is an independent contractor and will pay federal and state taxes. Give contractors leeway over how they perform their duties. Resist the urge to supervise them the way you oversee employees. Send each contractor (and the IRS) a Form 1099 showing non-employee income if you pay him or her $600 or more in a calendar year. Maintain good records. Keep an independent contractor’s taxpayer ID number and other information required by the IRS, but also keep items that can help prove the person is self-employed. For example, retain business cards, letterheads, invoices and advertisements from independent contractors. In many cases, proactive planning can help secure independent contractor status. Contact us if you have questions about worker classification. 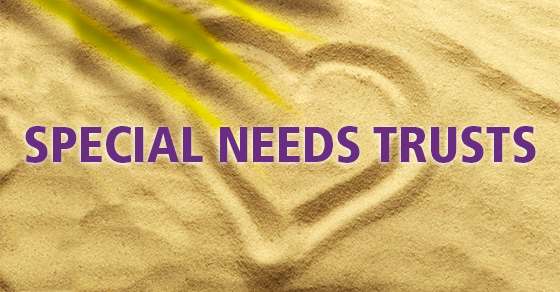 Special needs trusts (SNTs), also called “supplemental needs trusts,” benefit children or other family members with a disability that requires extended-term care or that prevents them from being able to support themselves. This trust type can provide peace of mind that your loved one’s quality of life will be enhanced while not disqualifying him or her for Medicaid or Supplemental Security Income (SSI) benefits. Medicaid and SSI pay for basic medical care, food, clothing and shelter. To qualify for these benefits, however, a person’s resources must be limited to no more than $2,000 in “countable assets.” Generally, every asset is countable with a few exceptions, including among other things a principal residence, a car and a small amount of life insurance. An SNT is an irrevocable trust designed to supplement, rather than replace, government assistance. To preserve eligibility for government benefits, the beneficiary can’t have access to the funds and the trust must be prohibited from providing for the beneficiary’s “support.” That means it can’t be used to pay for medical care, food, clothing, shelter or anything else covered by Medicaid or SSI, such as the basic medical care provided by those programs. What an SNT can be used for is to pay for virtually anything government benefits don’t cover, such as unreimbursed medical expenses, education and training, transportation, insurance, and modifications to the beneficiary’s home. It can also pay for “quality-of-life” needs, such as travel and entertainment. The trust must not pay any money directly to the beneficiary. Rather, the funds should be distributed directly — on behalf of the beneficiary — to the third parties that provide goods and services to him or her. To ensure an SNT’s terms aren’t broken, notify family members and friends to make gifts or donations directly to the trust and not to the loved one with special needs. If you think an SNT may benefit your family, contact us. Paying the proper amount of tax by the annual federal income tax filing deadline isn’t enough to avoid interest and penalties; you must also meet requirements for paying tax throughout the year through withholding and/or quarterly estimated tax payments. If you have income from sources such as self-employment, interest, dividends, alimony, rent, prizes, awards or the sales of assets, you may have to pay estimated tax. You expect withholding and credits to be less than the smaller of 90% of your tax for the year or 100% of the tax on your previous year’s return. 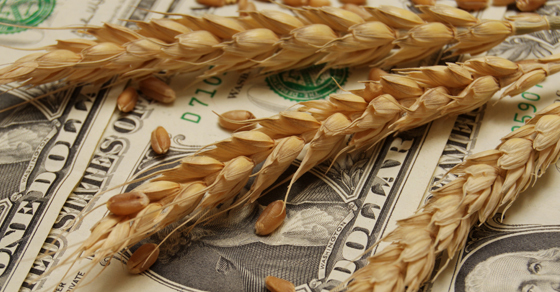 There are special rules for farmers, fishermen, certain household employers and certain higher-income taxpayers. 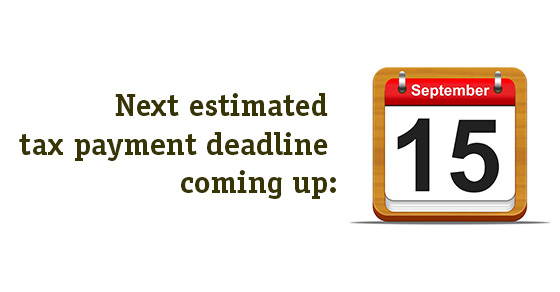 Payments are spaced through the year into four periods or due dates. Generally, the due dates are April 15, June 15, Sept. 15 and Jan. 15, unless the date falls on a weekend or holiday. Estimated tax is calculated by factoring in expected gross income, taxable income, taxes, deductions and credits for the year. The easiest way to pay estimated tax is electronically through the Electronic Federal Tax Payment System. You can also pay estimated tax by check or money order using the Estimated Tax Payment Voucher or by credit or debit card. 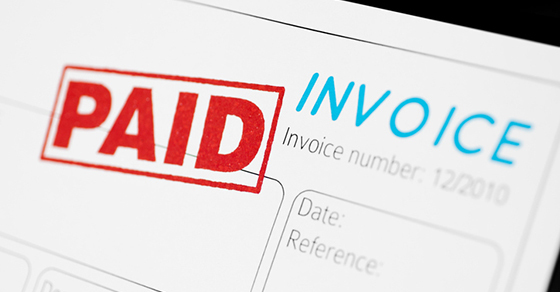 If you’d like assistance determining whether you need to pay estimated tax or calculating your payments, contact us. 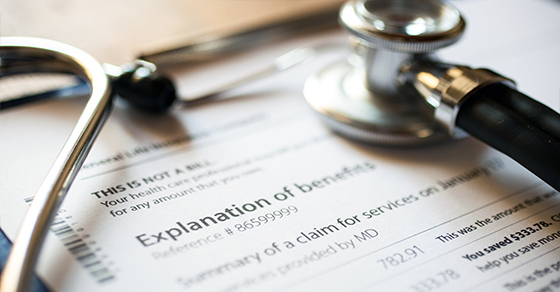 When looking to manage benefits costs, employers have many ideas to consider. 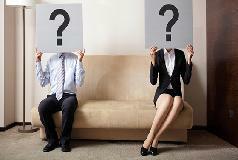 One in particular is whether and how to offer health care insurance to their employees’ spouses. The Affordable Care Act doesn’t require spousal coverage. It only requires coverage for dependent children. But many employees may frown on seeing spousal coverage suddenly become expensive or vanish entirely. So this is a question warranting careful forethought. Essentially, there are two established ways of saving money on spousal coverage: 1) rationalizing the expense through a cost-sharing surcharge, or 2) eliminating coverage altogether through a “spousal carve-out” policy. Few employers appear willing to lower the boom on spousal coverage by eliminating it (also known as an “absolute carve-out”) — especially when spouses lack access to coverage through their own employers. Forcing workers’ spouses to seek coverage on the individual market, possibly at a very high cost, would likely embitter the affected employees, potentially increasing turnover. But it doesn’t have to be an all-or-nothing proposition. One variation on the surcharge approach is to give a monetary award to employees whose spouses switch from your plan to the spouse’s employer’s plan. Or you could have a spousal carve-out program with an escape hatch. Such an arrangement would allow the spouse to remain on your plan if the price the spouse would have to pay for coverage under his or her own employer’s plan exceeds a specified threshold. Still another approach is to require employed spouses whose own employers offer coverage to enroll in those plans in order to receive benefits under your plan. This way, yours becomes the secondary plan, incurring only the portion of claims not covered by the spouse’s employer’s plan (the primary plan). Unfortunately, there are no quick and easy ways to keep health care plan costs in check. But policies that ensure you aren’t paying the medical bills of employee spouses who could be getting coverage through their own employers are certainly worth contemplating. If you go on a business trip within the United States and tack on some vacation days, you can deduct some of your expenses. But exactly what can you write off? Transportation costs to and from the location of your business activity are 100% deductible as long as the primary reason for the trip is business rather than pleasure. On the other hand, if vacation is the primary reason for your travel, then generally none of your transportation expenses are deductible. What costs can be included? Travel to and from your departure airport, airfare, baggage fees, tips, cabs, and so forth. Costs for rail travel or driving your personal car are also eligible. The number of days spent on business vs. pleasure is the key factor in determining if the primary reason for domestic travel is business. Your travel days count as business days, as do weekends and holidays if they fall between days devoted to business, and it would be impractical to return home. Standby days (days when your physical presence is required) also count as business days, even if you aren’t called upon to work those days. Any other day principally devoted to business activities during normal business hours also counts as a business day, and so are days when you intended to work, but couldn’t due to reasons beyond your control (such as local transportation difficulties). You should be able to claim business was the primary reason for a domestic trip if business days exceed personal days. Be sure to accumulate proof and keep it with your tax records. For example, if your trip is made to attend client meetings, log everything on your daily planner and copy the pages for your tax file. If you attend a convention or training seminar, keep the program and take notes to show you attended the sessions. Once at the destination, your out-of-pocket expenses for business days are fully deductible. These expenses include lodging, hotel tips, meals (subject to the 50% disallowance rule), seminar and convention fees, and cab fare. Expenses for personal days are nondeductible. Questions? 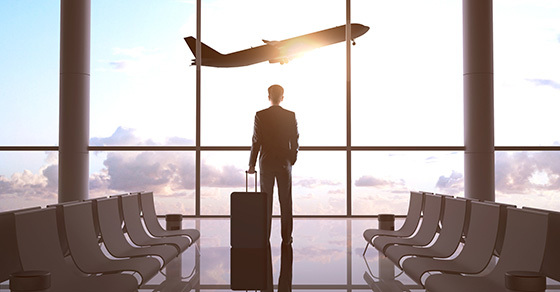 Contact us if you want more information about business travel deductions. When spouses have similar irrevocable trusts for each other’s benefit, they can be subject to the “reciprocal trust” doctrine. It prohibits tax avoidance through trusts that 1) are interrelated, and 2) place both grantors in the same economic position as if they’d each created trusts naming themselves as life beneficiaries. Suppose that your and your spouse’s estates will trigger a substantial tax bill when you die. You transfer your assets to an irrevocable trust that provides your spouse with an income interest for life, access to principal at the trustee’s discretion and a testamentary, special power of appointment to distribute the trust assets among your children. Ordinarily, assets transferred to an irrevocable trust are removed from your taxable estate (though there may be gift tax implications). But let’s say that two weeks later your spouse establishes a trust with identical provisions, naming you as life beneficiary. This arrangement would violate the reciprocal trust doctrine, so the transfers would be undone by the IRS and the value of the assets you transferred would be included in your respective estates. In this example, the intent to avoid estate tax is clear: Each spouse removes assets from his or her taxable estate but remains in essentially the same economic position by virtue of being named life beneficiary of the other spouse’s estate. To avoid unintended tax consequences, trusts should be designed to avoid the reciprocal trust doctrine. There are many ways to accomplish this, but essentially the goal is to vary factors related to each trust, such as the trust assets or terms, trustees, beneficiaries, or creation dates, so that the two trusts aren’t deemed “substantially similar” by the IRS. If you and your spouse have separate trusts, allow us to review them to ensure they don’t invoke the reciprocal trust doctrine. 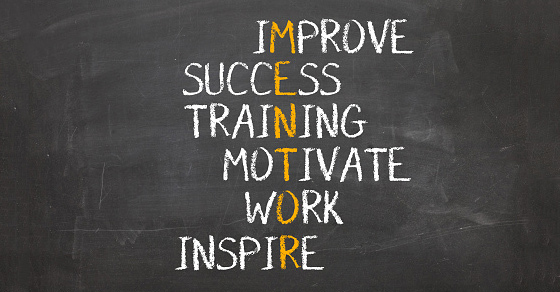 Taking these steps is not only necessary — it also serves to motivate, compensate and reward staff members. 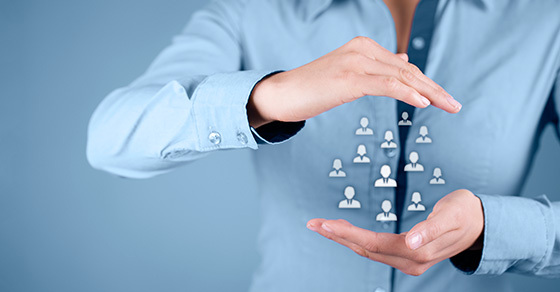 Strong organizational management is particularly key to attracting and retaining goodemployees, who typically desire an objective and well-balanced performance evaluation system. Giving away assets during your life will help reduce the size of your taxable estate, which is beneficial if you have a large estate that could be subject to estate taxes. For 2016, the lifetime gift and estate tax exemption is $5.45 million (twice that for married couples with proper estate planning strategies in place). Even if your estate tax isn’t large enough for estate taxes to be a concern, there are income tax consequences to consider. Plus it’s possible the estate tax exemption could be reduced or your wealth could increase significantly in the future, and estate taxes could become a concern. That’s why, no matter your current net worth, it’s important to choose gifts wisely. Consider both estate and income tax consequences and the economic aspects of any gifts you’d like to make. 1. To minimize estate tax, gift property with the greatest future appreciation potential. You’ll remove that future appreciation from your taxable estate. 2. To minimize your beneficiary’s income tax, gift property that hasn’t appreciated significantly while you’ve owned it. 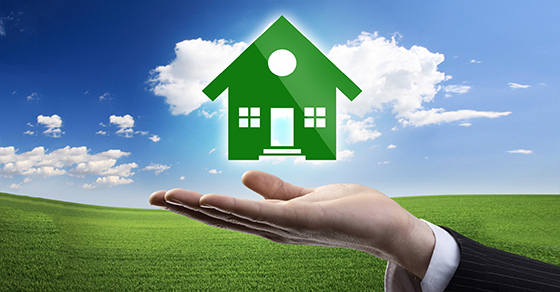 The beneficiary can sell the property at a minimal income tax cost. 3. To minimize your own income tax, don’t gift property that’s declined in value. Instead, consider selling the property so you can take the tax loss. You can then gift the sale proceeds. For more ideas on tax-smart giving strategies, contact us. Business owners may be able to see substantial tax savings faster by conducting cost segregation studies. These studies identify property components and their costs, allowing you to maximize current depreciation deductions by using shorter lives and speeding up depreciation rates available for the qualifying parts of the property. Buildings generally are depreciated over 27.5 years (residential rental) or 39 years (commercial) using the straight-line method. This recovery period applies to real property, which includes buildings as well as structural components such as walls, concrete floors, paint, windows, ceilings and HVAC systems. You may be able to write off some parts of a property faster than 27.5 or 39 years by separating the parts that aren’t structural. In some cases, you can use a 5-, 7- or 15-year rate of depreciation. 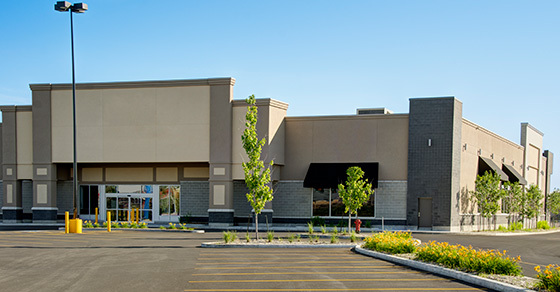 There are no hard-and-fast rules for distinguishing personal property eligible for accelerated depreciation from structural components that are depreciated as part of a building. Various factors come into play, including how the property is affixed to the building, whether it’s designed to remain in place permanently, and how difficult it would be to move or remove. You can also depreciate the allocated portion of certain capitalized indirect or overhead costs — such as architectural and engineering fees. And land improvements that you can isolate with a cost segregation study include parking lots, sidewalks, fences and landscaping. Consider a cost segregation study when you buy, build or remodel — or when you’ve done so within the last few years. Be aware that the overall benefits may be limited in certain circumstances, such as when a business is subject to the alternative minimum tax or located in a state that doesn’t follow federal depreciation rules. Passive activity loss rules can also defer benefits. A cost segregation study can be an excellent way for gaining faster write-offs on real estate and construction projects. Contact us to help determine whether you can benefit. 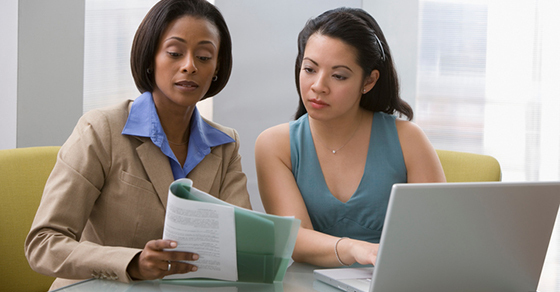 Powers of attorney are critical components of an effective estate plan. After you’ve executed powers of attorney, it’s important to review them periodically — at least every five years and preferably more frequently — and consider executing new ones. 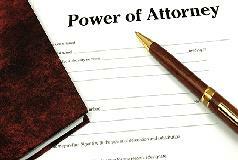 Financial power of attorney. Also referred to as a power of attorney for property, this document appoints someone to make financial decisions or execute transactions on your behalf under certain circumstances. For example, a power of attorney might authorize your agent to handle your affairs while you’re out of the country or, in the case of a “durable” power of attorney, incapacitated. 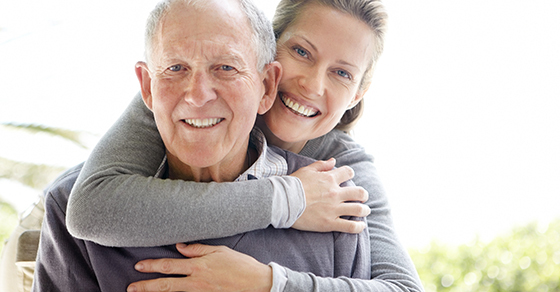 Health care power of attorney. This document, which also may go by other names, appoints someone to make medical decisions on your behalf in the event an illness or injury renders you unconscious or otherwise incapacitated and unable to make decisions for yourself. Your wishes may have changed. The agent you designated to act on your behalf may have died or otherwise become unavailable. Or you may no longer trust the person you chose. If you designated your spouse as your agent and later divorced, you probably want to designate someone else. If you’ve since moved to another state, your powers of attorney may no longer work the way you intended. Certain terms have different meanings in different states, and states don’t all have the same procedural requirements. Some states, for example, require durable powers of attorney to be filed with the local county recorder or some other government agency. Even if nothing has changed since you signed your powers of attorney, it’s a good idea to sign new documents every few years. Because of liability concerns, some financial institutions and health care providers may be reluctant to honor powers of attorney that are more than a few years old. We’d be pleased to review your powers of attorney today and, if necessary, assist in executing new ones. What keeps business owners up at night? Many would say sluggish productivity or escalating expenses. An employee coming to work every day usually doesn’t make the list. But a staff member who never takes a day off can cause problems by showing up sick, distracted or too stressed out to be effective. There’s a name for this problem: presenteeism. Need to repeat tasks until they’re completed correctly. But it may not end there. When employees come to work while suffering from communicable diseases, such as a cold or the flu, the problem can grow exponentially. One worker coughs on two people who get sick, and they cough on four people who get sick, and so on. Because presenteeism can stem from a gamut of sources, companies must be on guard for dips in productivity. When one occurs, managers should know how to discuss the matter with the potentially affected employees. Your benefits program may hold the key. Both the employee and your organization may be better served if the worker takes advantage of available benefits — such as paid sick days, an employee assistance program or leave of absence — that will help him or her deal with the outside stressor causing presenteeism. It’s also important to emphasize wellness. Many companies now offer formal wellness programs to encourage actions such as engaging in exercise, getting an annual physical and learning about healthy living. It’s much easier to detect presenteeism when you’re measuring productivity. Choose the right metrics and don’t underestimate this potentially costly threat to your profitability. 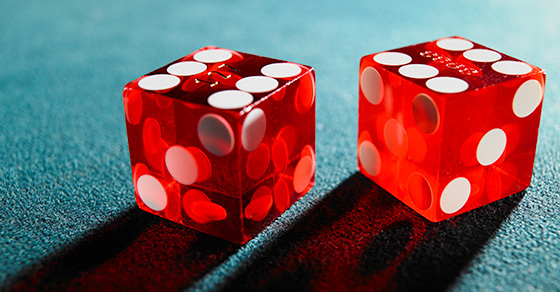 For anyone who takes a spin at roulette, cries out “Bingo!” or engages in other wagering activities, it’s important to be familiar with the applicable tax rules. Otherwise, you could be putting yourself at risk for interest or penalties — or missing out on tax-saving opportunities. You must report 100% of your wagering winnings as taxable income. The value of complimentary goodies (“comps”) provided by gambling establishments must also be included in taxable income because comps are considered gambling winnings. Winnings are subject to your regular federal income tax rate, which may be as high as 39.6%. Amounts you win may be reported to you on IRS Form W-2G (“Certain Gambling Winnings”). In some cases, federal income tax may be withheld, too. Anytime a Form W-2G is issued, the IRS gets a copy. So if you’ve received such a form, keep in mind that the IRS will expect to see the winnings on your tax return. You can write off wagering losses as an itemized deduction. However, allowable wagering losses are limited to your winnings for the year, and any excess losses cannot be carried over to future years. Also, out-of-pocket expenses for transportation, meals, lodging and so forth don’t count as gambling losses and, therefore, can’t be deducted. The date and type of specific wager or wagering activity. The IRS allows you to document income and losses from wagering on table games by recording the number of the table that you played and keeping statements showing casino credit that was issued to you. For lotteries, your wins and losses can be documented by winning statements and unredeemed tickets. Please contact us if you have questions or want more information. If you qualify as a “professional” gambler, some of the rules are a little different. 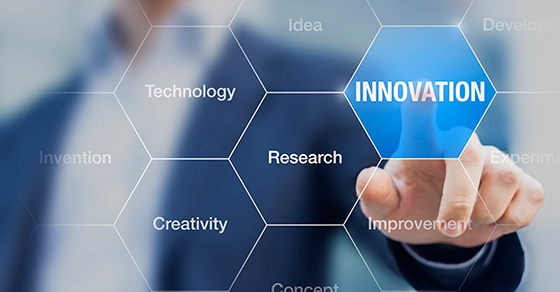 If your company engages in research and development, you’re driven to innovate and bring new products and improvements to market. It’s that spirit of discovery that keeps businesses in the United States on the leading edge. Even better, you may qualify for a lucrative federal tax credit for some of your expenses related to R&D. Many states also offer research tax incentives. The federal research tax credit is now permanent, thanks to the Protecting Americans from Tax Hikes (PATH) Act of 2015. This is good news because, for more than 30 years, the popular tax break periodically expired and was reinstated (usually for a year or two), which caused uncertainty for businesses. Generally, the credit is equal to a portion of qualified research expenses incurred during the taxable year. The credit is complicated to calculate and not all research activities are eligible but the tax savings can be sizable. The PATH Act added two new features that are especially favorable to small businesses. Beginning in 2016, small businesses with $50 million or less in gross receipts may claim the credit against alternative minimum tax liability. The credit can be used by certain even smaller businesses against the employer’s portion of Social Security tax. This provision also became effective in 2016. Now that the credit is permanent, companies can count on it when they plan R&D projects. There could also be an opportunity to file an amended tax return and collect a refund if you incurred qualified expenses in previous years but didn’t claim them. Be aware that the IRS announced recently that it “does see a significant amount of misuse of the research credit each year.” Good recordkeeping is important. To claim a credit, taxpayers must document their activities to establish the amount of qualified research expenses paid. Contact us to find out how to maximize the benefits allowed under the law. With the gift and estate tax exemption at $5.45 million in 2016, you may be less concerned about these taxes. But if you don’t take advantage of making tax-free direct payments of tuition and medical expenses, you’re missing a valuable opportunity to reduce your potential gift and estate tax exposure down the road. Federal tax law allows you to pay tuition and medical expenses on behalf of your children or other loved ones without incurring gift tax or using up any of your gift and estate tax exemption. This may not seem like much if your net worth is well under the current exemption amount. But what if your wealth grows beyond the exemption amount in the coming years and decades? Or, what if lawmakers decide to reduce the exemption? Either way, your estate could end up with a hefty tax bill, leaving less for your family after your death. You may already be making $14,000 per recipient annual exclusion gifts to your children, grandchildren or other loved ones, which can help minimize your taxable estate. But if estate tax is a concern, also consider paying some or all of their tuition and medical expenses. 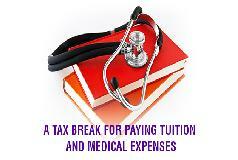 Unlike the annual exclusion, there’s no limit on the amount of tuition or medical expenses you can pay tax-free. It’s a powerful technique for transferring wealth gift-tax-free while also reducing the size of your estate. A few caveats: This strategy works only if you make payments directly to a qualifying educational institution or medical provider — advancing the funds to a loved one or reimbursing previously paid expenses doesn’t count. The break covers tuition at all grade levels, but not payments for room and board, books, supplies, or other nontuition expenses. And it doesn’t apply to medical expenses reimbursed by insurance. We can help ensure that you’re taking full advantage of your $5.45 million gift and estate tax exemption. Get in touch with us today. 1. Double taxation. If you’re a citizen of the United States, you’ll remain subject to U.S. taxes even if you move to another country. So you might be subject to gift and estate taxes in your new country andin the United States (possibly including state taxes if you maintain a residence in a U.S. state). In some cases, you can claim a credit against U.S. taxes for taxes you pay to another country, but these credits aren’t always available. 2. Real estate issues. If you wish to purchase a home in a foreign country, you may discover that your ability to acquire property is restricted. Some countries, for example, prohibit foreigners from owning real estate that’s within a certain distance from the coast or even anywhere in the country. It may be possible to bypass these restrictions by using a corporation or trust to hold property, but this can create burdensome tax issues for U.S. citizens. 3. Unfamiliar inheritance rules. If you own real estate or other property in a foreign country, you may run up against unusual inheritance rules. In some countries, for example, your children have priority over your spouse, regardless of the terms of your will. 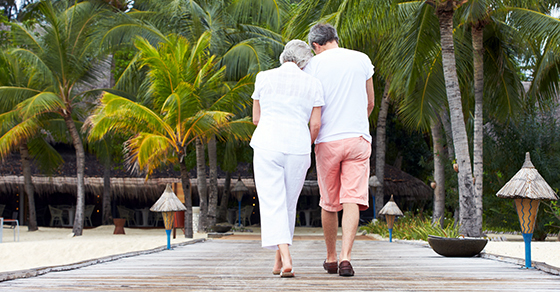 If you and your spouse are making retirement plans to live in another country, contact us now to reduce the chances of undesirable tax and estate planning consequences later. The income tax credit for certain energy-efficient home improvements and equipment purchases was extended through 2016 by the Protecting Americans from Tax Hikes Act of 2015 (the PATH Act). So, you still have time to save both energy and taxes by making these eco-friendly investments. Qualified central air conditioners; electric heat pumps; electric heat pump water heaters; water heaters that run on natural gas, propane, or oil; and biomass fuel stoves used for heating or hot water, which are subject to a separate $300 credit cap. Qualified furnaces and hot water boilers that run on natural gas, propane or oil, which are subject to a separate $150 credit cap. Qualified main air circulating fans used in natural gas, propane and oil furnaces, which are subject to a separate $50 credit cap. When claiming the credit, you must keep with your tax records a certification from the manufacturer that the product qualifies. The certification may be found on the product packaging or the manufacturer’s website. Additional rules and limits apply. For more information about these and other green tax breaks for individuals, contact us. The tax benefits of HSAs are quite favorable and substantial. Eligible individuals can make tax-deductible (as an adjustment to AGI) contributions into HSA accounts. The funds in the account may be invested (somewhat like an IRA), so there’s an opportunity for growth. The earnings inside the HSA are free from federal income tax, and funds withdrawn to pay eligible health care costs are tax-free. An HSA is a tax-exempt trust or custodial account established exclusively for paying qualified medical expenses of the participant who, for the months for which contributions are made to an HSA, is covered under an HDHP. Consequently, an HSA isn’t insurance; it’s an account, which must be opened with a bank, brokerage firm, or other provider (typically an insurance company). It’s therefore different from a Flexible Spending Account in that it involves an outside provider serving as a custodian or trustee. An HSA with an HDHP is, of course, but one benefits strategy of many. But it’s worth considering. Please call us for help determining whether it would be the right move for your company this year or perhaps in 2017. For children subject to the kiddie tax, any unearned income beyond $2,100 (for 2016) is taxed at their parents’ marginal rate (assuming it’s higher), rather than their own likely low rate. For example, let’s say you transferred to your 16-year-old some stock you’d held for several years that had appreciated $10,000. You were thinking she’d be eligible for the 0% long-term gains rate so could sell the stock with no tax liability for your family. But you’d be in for an unhappy surprise: Assuming your daughter had no other unearned income, $7,900 of the gain would be taxed at your rate (15% or 20%, depending on your bracket). Or let’s say you transferred the appreciated stock to your 18-year-old grandson with the plan that he could sell the stock tax-free to pay for his college tuition. If his parents are in a higher tax bracket, he won’t end up with the entire $10,000 gain available for tuition because of the kiddie tax liability. Years ago, the kiddie tax applied only to those under age 14 — providing families with the opportunity to enjoy significant tax savings from income shifting. Today, the kiddie tax applies to children under age 19 and to full-time students under age 24 (unless the students provide more than half of their own support from earned income). Fortunately, there may be ways to achieve your goals without triggering the kiddie tax. For example, if you’d like to shift income and you have adult children who’re no longer subject to the kiddie tax but in a lower tax bracket, consider transferring income-producing or highly appreciated assets to them. Or, if you want to help your grandchild fund college, consider paying tuition directly to his or her school. An added bonus: a direct tuition payment isn’t subject to gift tax. 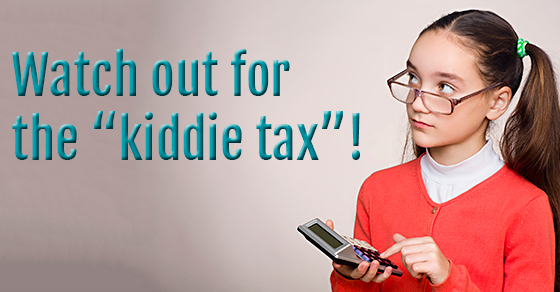 For more on the kiddie tax and ways to achieve your goals without triggering it, contact us.